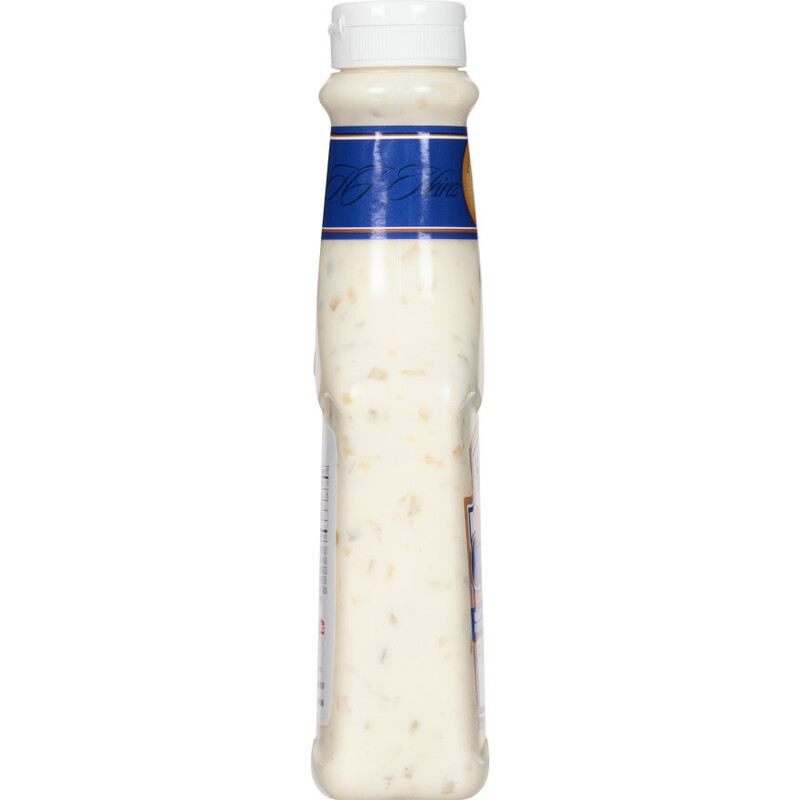 A tangy blend of creamy mayonnaise, Heinz select relish and delicious spices. 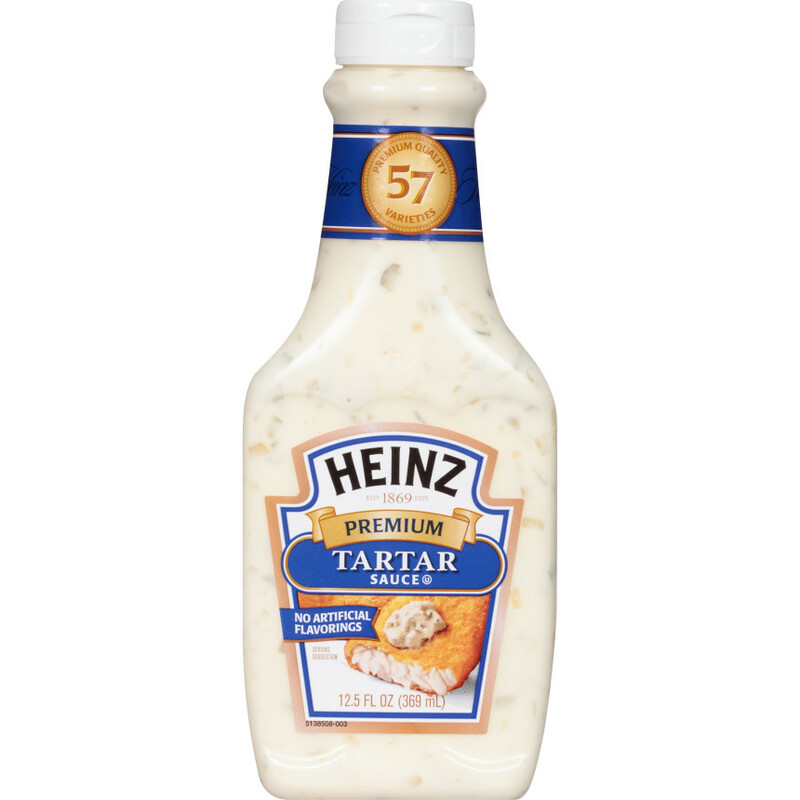 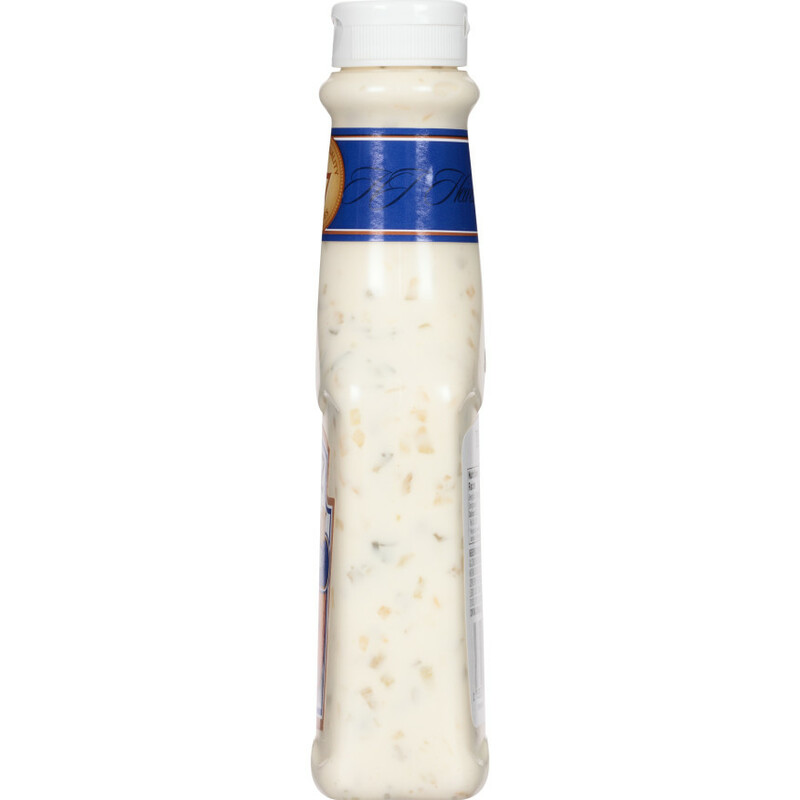 Add a little kick of flavor as a delicious dressing for fish sandwiches or a delectable dip for fish sticks. 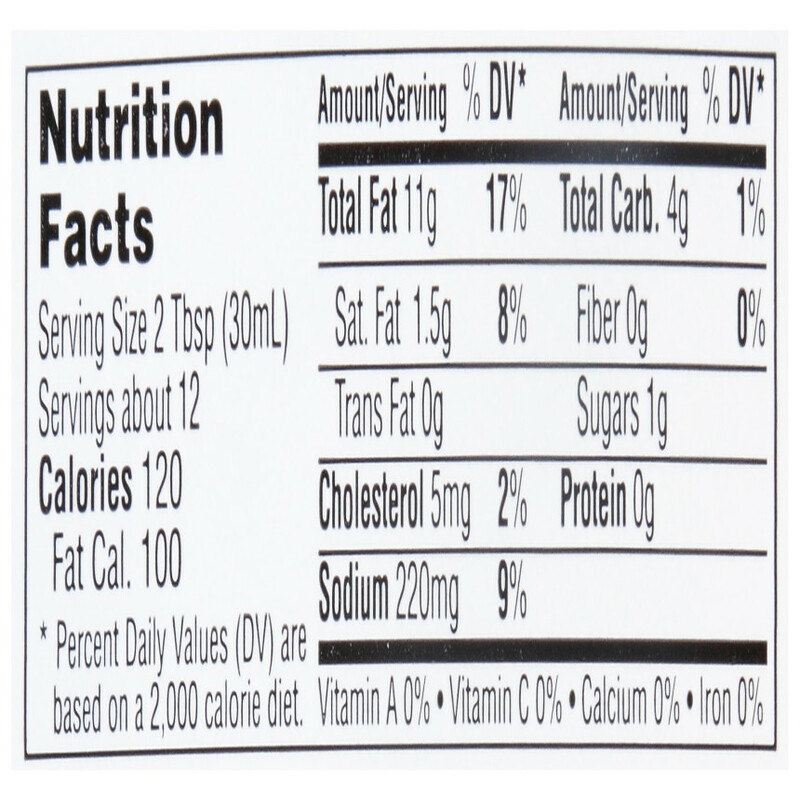 SOYBEAN OIL,HEINZ SWEET RELISH(PICKLES(CUCUMBERS,SALT,CALCIUM CHLORIDE),SUGAR,DISTILLED WHITE VINEGAR,XANTHAN GUM,ALUM,NATURAL FLAVORS,SPICE)WATER,DISTILLED WHITE VINEGAR,HIGH FRUCTOSE CORN SYRUP,EGGG YOKES,SALT,MODIFIED CORN STARCH,MUSTARD FLOUR,LEMON JUICE CONCENTRATE,XANTHAN GUM,ONION POWDER,TITANIUM DIOXIDE,SPICE,CALCIUM DISODIUM EDTA ADDED TO PROTECT FLAVOR.